I’m considering using Collagen Protein powder instead of Maca since I don’t have any of that. Do you think that would work? Yep! Or you can leave it out completely. Is it possible to get the nutrition/calorie count for you recipes posted along with the recipe? Can I use organic lemon juice instead of the zest or YL oil? These are great! I threw in some organic whey protein powder instead of maca (optional, I know) for a little protein boost, and they were great! A big hit with my 20 somethings kids, who are into power snacking! do you think I could use stevia instead of honey? Or would it change the texture too much? Do you think that nutritional yeast would throw off the taste? I’m trying to make my “goodies” as nutrient dense as possible, and I like throwing nutritional yeast into many things, but I do have a problem with the taste, so I’m afraid the taste might come through in this, but I think I’ll add what I call my triple seed mix, chia, flax and hemp, as well as maca, I use it all the time, I wonder how well they would do if I tried to cover them with homemade chocolate, can’t wait till I go to the store next week and get some more coconut flakes to make the coconut butter, I make coconut milk (cream, I use less water), from it all the time. You could call me the coconut grandma. But I get most of my ideas from you and expand, I use recipes as guidelines, most of the time. I don’t think the ‘cheesiness’ of the Nutritional Yeast would be appreciated. The Maca powder adds many great minerals, with out much taste. Can coconut oil be used instead of coconut butter? I wouldn’t use coconut oil. Coconut butter is more like a nut butter and gives more texture. I think these would be too oily if you used coconut oil. Thinking of adding some chia seeds to this. Looks yummy! Can I use frozen berries here? What kind of Maca powder do you recommend. There are sever difrent kinds to choose from. so i used the coconut butter for the berry recipe right after i was finished making it and i did not heat it. It seemed warm. Now my batter will not get hard. Is that the reason? hour a day from you and your relatives to make it work out. I’m new at your site, I would like to learn all about oils and their benefits. I am confused about the 16 oz cup. Is it 16 ounces or an 8 ounce cup? Thanks for the recipe. Sorry about that! I fixed it in the recipe above. I have never heard of coconut butter. Can coconut oil be used? How does one make coconut butter?? The link to the coconut butter takes you to TT Coconut cream… is that the same thing? Or do I make butter out of the cream? Thanks for your help! 🙂 Sounds delicious! What is coconut butter and where is it available?? This is the first time I’m hearing about it. Hi Coconut Mama, Thanks for the great recipe, information and instructional viseo on how to make the coconut butter. I was thrilled to see this post: makes me think of other applications in wellness. I wish you success in all your endeavors! I just wish Coconut Butter wasn’t so darn expensive! 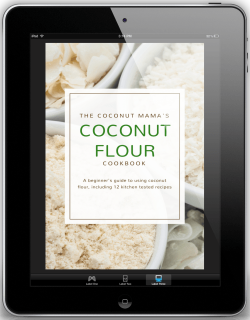 If you have the right equipment you can make it with shredded coconut flakes. When you say 16oz. cups of coconut butter do you mean 16 oz. or a cup? 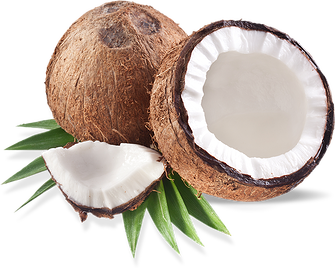 Is coconut cream concentrate the same as coconut butter? These look delicious! Sorry I fixed that in the recipe! It’s 16 ounces or 2 cups. Coconut cream concentrate is the same as coconut butter. Look forward to learning new things from u!!! What is maca powder for? Could ya do without it? Would homemade coconut butter work ok? ?